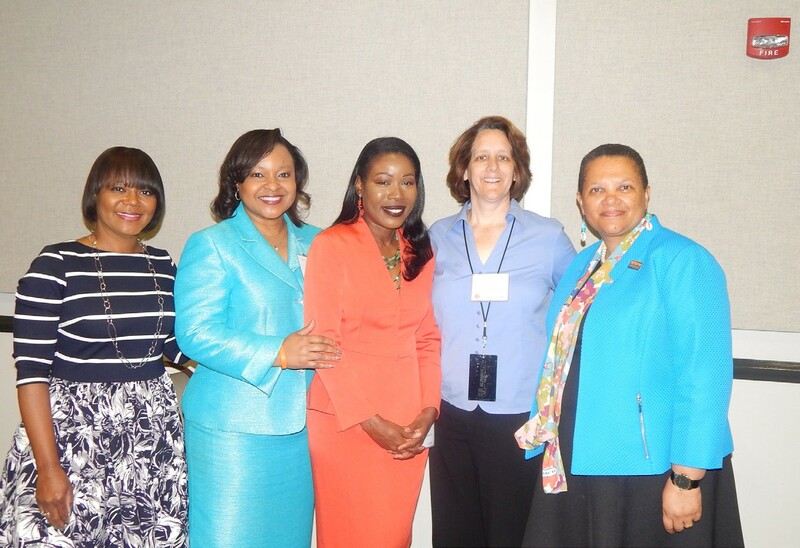 The Women’s Leadership Conference was held at Savannah State University Student Union on last Friday, March 18. The day-long conference focused on women in the arts and media. Guests attended multiple workshops throughout the day including a writing workshop with special guest Tina McElroy Ansa. Author Tina McElroy Ansa began her career at the Atlanta Constitution, where she was the first black female to work at the daily morning newspaper. For eight years, she worked as a copy editor, makeup editor, layout editor, entertainment writer, features writer and news reporter. Isabel Wilkerson, the Pulitzer Prize-winning author of The Warmth of Other Suns, a New York Times bestseller and winner of the National Book Critics Circle Award was the keynote speaker for the conference luncheon. The book brings to life one of the greatest underreported stories of the 20th Century. Wilkerson interviewed more than 1,200 people, unearthed archival research and gathered the voices of the famous and the unknown to tell the epic story of the redistribution of an entire people. She termed it the “Great Migration” The book was a work that took her 15 years to research. When asked what would perpel somebody to spend that much time on one thing, her reply was “to explore a phenomenon that has affected millions”. The Great Migration, Wilkerson described as a movement to obtain freedom and just how far people will go to achieve it. Wilkerson won the Pulitzer Prize for her work as Chicago bureau chief of the New York Times in 1994, making her the first black woman in the history of American journalism to win a Pulitzer Prize and the first African-American to win for individual reporting. The Media Arts Community Service Awards were also presented during the luncheon. The recipients included Ms. Dawn Baker, news anchor WTOC-TV, Claire Beverly, news director Alpha Media USA, Ms. Susan Catron, executive editor, Savannah Morning News, Ms Kim Gusby, morning anchor, WSAV TV and Ms. Tina Tyus-Shaw, evening anchor, WSAV TV. The Women’s Leadership Institute (WLI) seeks to celebrate the example shown by women leaders in diverse industries across the globe; connect women from different backgrounds to build a strong community of leaders; help women on the path to leadership; create networking opportunities; and, challenge the new and ongoing issues that rising women leaders face.